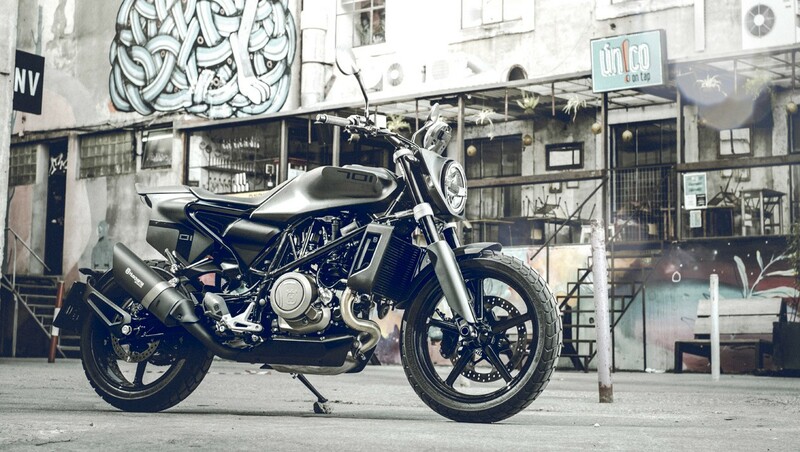 Husqvarna Svartpilen 701: Refreshingly different! The LX Factory Lisbon, the “scene district” in the Portuguese capital in a former factory area, with its chic bars, restaurants, galleries, quirky shops, and graffiti, wherever you look, was a well-chosen venue to launch the new Svartpilen 701 for the first time to learn from Husqvarna. 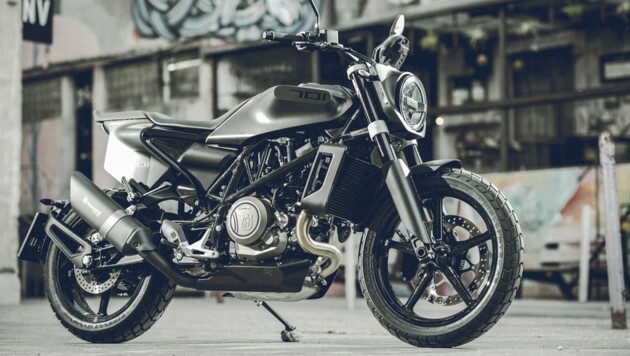 A motorcycle that, like its “sister” presented a year ago, the Vitpilen 701, appeals to the urban zeitgeist. With minimal design, quotes from the past, yet modern and unique in its own way. “Simple progressive”, as the advertisers of the KTM-owned Husqvarna group, whose bestsellers are actually at home off-road, describe their extraordinary street models quite aptly. 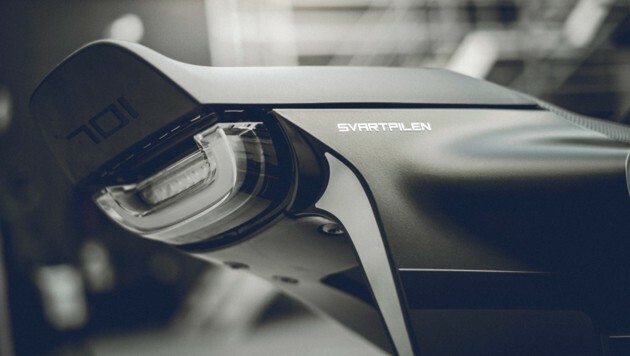 So what makes the black arrow (Svartpilen) different from the white one (Vitpilen), which has more of a café racer, while the new one is more reminiscent of a scrambler? First and foremost, the larger front wheel (18 inches), 15 millimeters longer suspension travel (front and rear 150 millimeters), and a taller, wider enduro style handlebar that provides a more upright, more comfortable riding position. Unmistakably also the style elements of a Flattrack racer, with the asymmetrical disguise, which offers space for a start number on the right, or the lamp mask. Both have in common the love of detail. Although the designers had the task to omit everything “unnecessary”, there are always lovingly placed 701 logos or other eye-catchers. Speaking of eye-catching: In front of the ice cream parlor, the slender Husqvarna Svartpilen 701 definitely cuts a fine figure, rarely have so many onlookers romped around a motorcycle as during our driving breaks in Lisbon. But the bike does not just look good, it drives too. What primarily an old acquaintance is responsible for. The engine with its 692.7 cc displacement, which is also used in the 701 Supermoto or Enduro as well as the KTM 690 models Duke, Supermoto and Enduro, guarantees a one-cylinder driving pleasure at the highest level. 75 hp with a torque of 72 Nm at 6750 rpm, the strongest single on the market in its latest development stage in the Svartpilen and is no longer the hard-to-tame beast of bygone days, but impresses with a hardly considered possible smoothness. No talk of chain rattling older LC4 models, only below 2500 / min, it is a bit uncomfortable. But this addictive engine wants to be kept up to speed, yelling at you for active driving! If you adhere to that, you will be rewarded with a great driving experience. 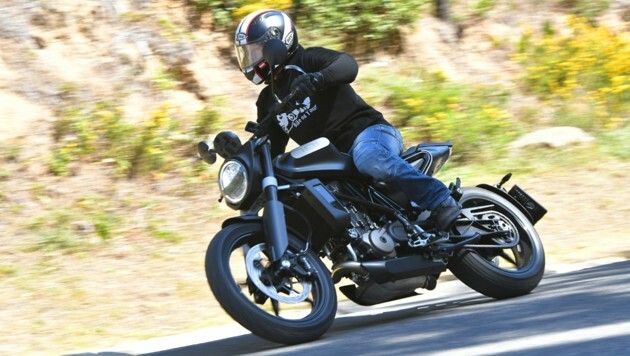 Of course, one must first get out of the city, where in truth the smaller Svartpilen 401 feel better, because that’s where you can cruise comfortably in the third or even fourth gear. But once you are on the highway, everything will be fine or better. Playful even the tightest corner combinations are completed, the Einlenkverhalten is just as precise as smooth, the perfectly functioning Quickshifter lets the gears up and down flutschen without the clutch to operate. 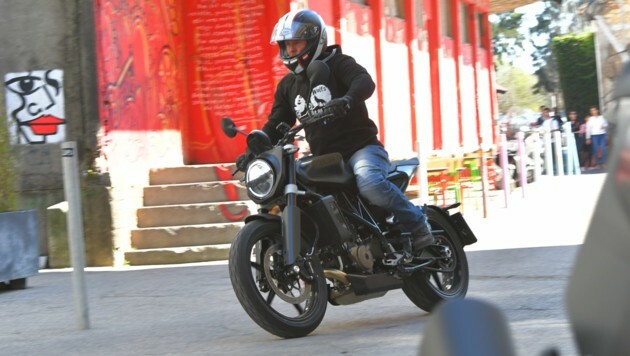 Driving modes are sought (in contrast to KTM 690 SMC R and Enduro R), according to the motto of simplicity, in vain, only (not disconnectable) ABS and traction control are on electronic driving aids on board. The latter intervenes quite discreetly and well-dosed, without being distracting, but it can also be switched off completely, but not adjusted in intensity. Due to the good chassis components – the WP fork is fully adjustable – even bad roads, cobblestones or gravel passages are not agonizing, quite the contrary. This is also reflected in the standard tires with the slightly coarser profiled Pirelli MT60 RS – the rubber keeps on the road even at a dedicated pace to the rest and still offers reserves away from it. The Brembo brakes fit well into the harmonious overall picture – a 320 mm front is fitted at the front, a 240 mm disc at the rear – which sufficiently delays the dry 158.5 kg lightweight motorbike in every situation. The seat height is 835 millimeters, is due to the slim seat but also for drivers with shorter legs quite easy to climb. Although the upholstery is not the epitome of comfort, it can also survive long stretches, as we learned in the mountains around Estoril. What you can not just say for the shapely seat cover camouflaged pillion seat. Although the offers the opportunity to take someone, but longer tours for two are for the passenger to a challenge.